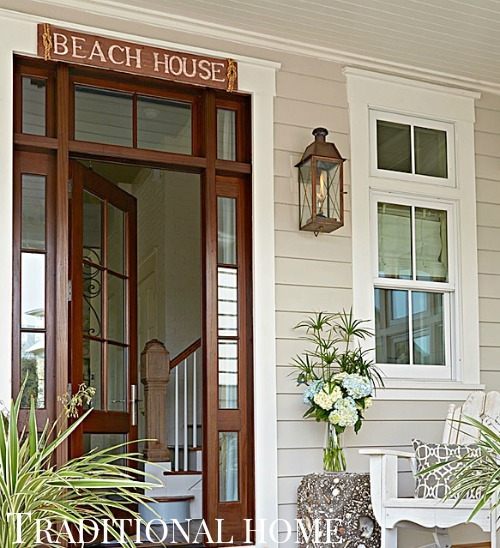 The words that describe this coastal beach house best are grand and exquisite! 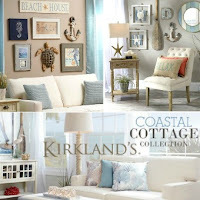 I have shown you a few individual rooms of this coastal beach house already, designed by GCI Design, and featured at Traditional Home. 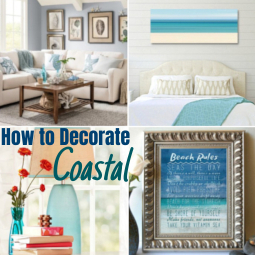 Now I'm bringing together all my favorite decor ideas. 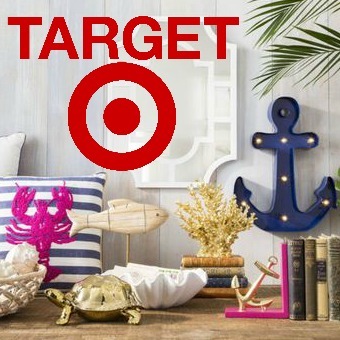 You might want to steal some of them! 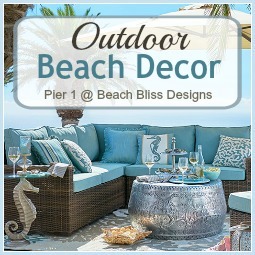 The Color Scheme is tranquil pastel blue and sandy beige. 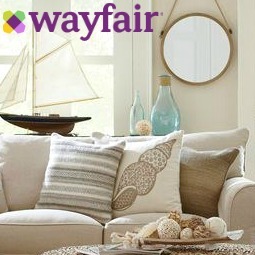 A timeless combo. 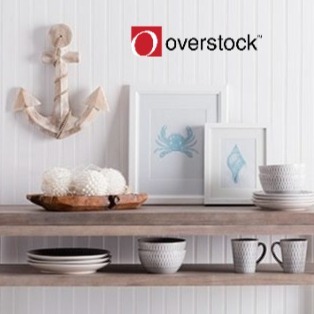 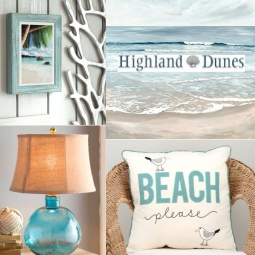 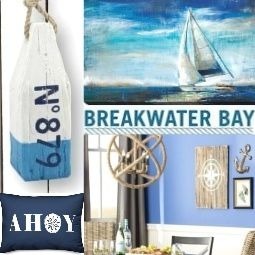 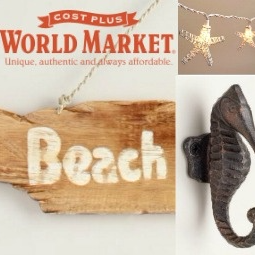 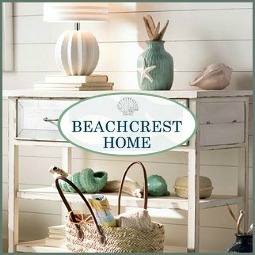 The home is located in WaterColor, Florida, and greets you with Pottery Barn's Wooden Beach House Sign. 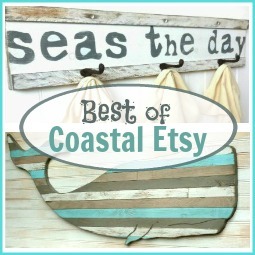 The sign, unfortunately, is no longer available, but if you follow the link you'll find a DIY tutorial for it! 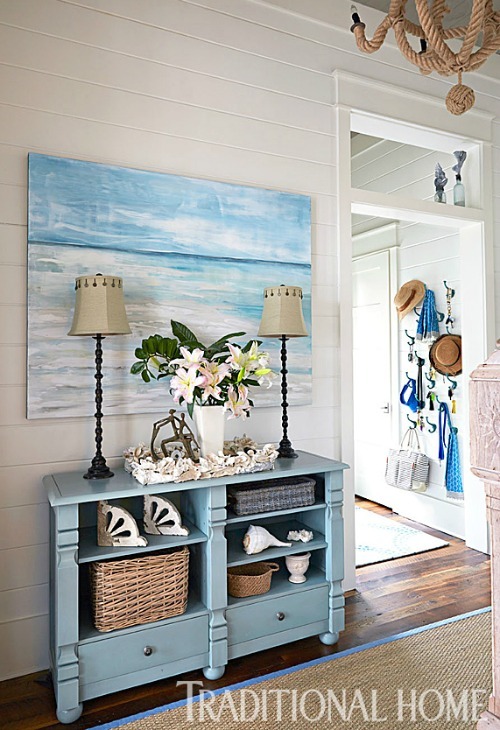 A Large Beautiful Ocean Painting (by Sherry Sandquist) off the entry introduces you to the home's theme. 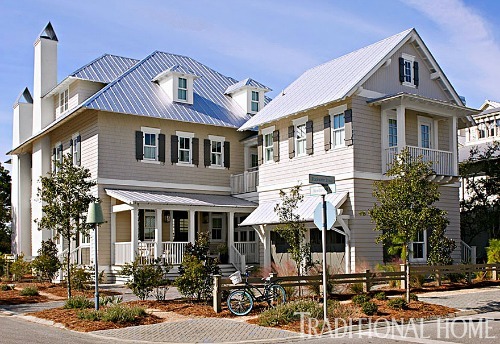 This large coastal beach house takes its cues from the sea and the sand! 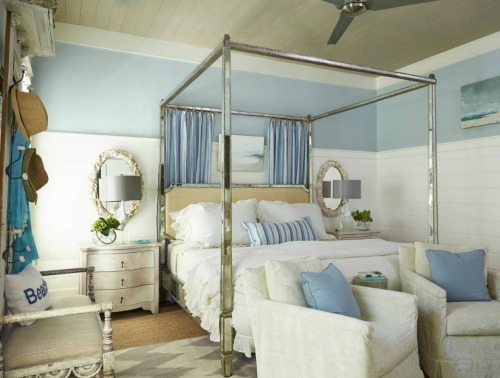 The home's seaside color scheme of pastel blue and beige is exemplified by great tri-colored curtain panels with broad horizontal stripes. 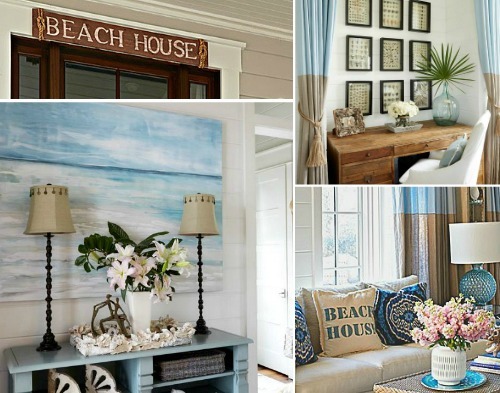 One wall of the living area is devoted to an office nook, featuring a Seashell Gallery Wall. 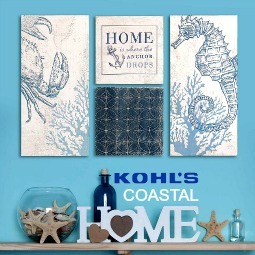 If you've collected lots of shells, you can pull off this striking display! 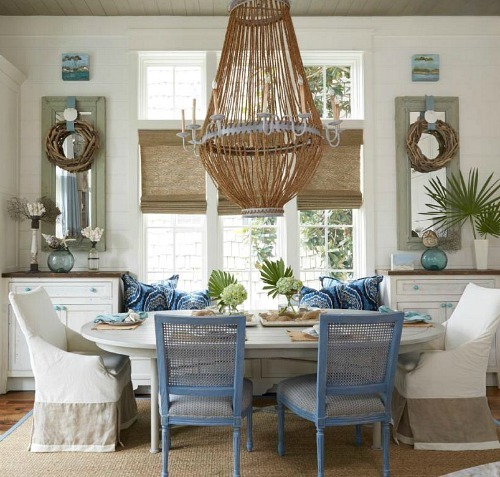 A giant Rope Chandelier (Luigi by Solaria) hangs over the dining room table. 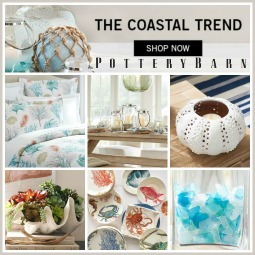 And more exquisite Coastal Lighting in the kitchen. 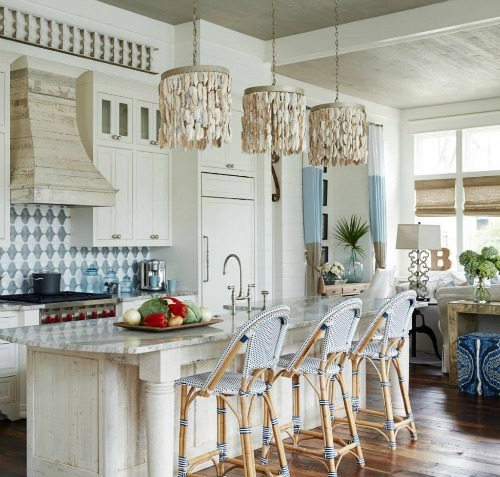 A trio of oyster-shell pendants nods to the coastal setting. 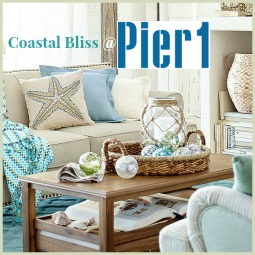 For the bar seating they chose the Riviera Bar Stools in Navy from Serena and Lily. 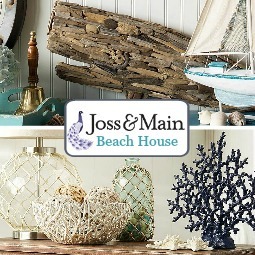 You can find similar Oyster Shell Pendant Lamps at Caron's Beach House. 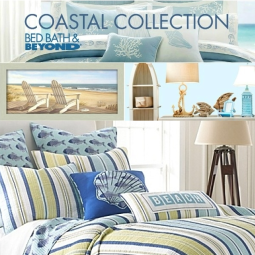 Beachy elegance in one of the bedrooms. 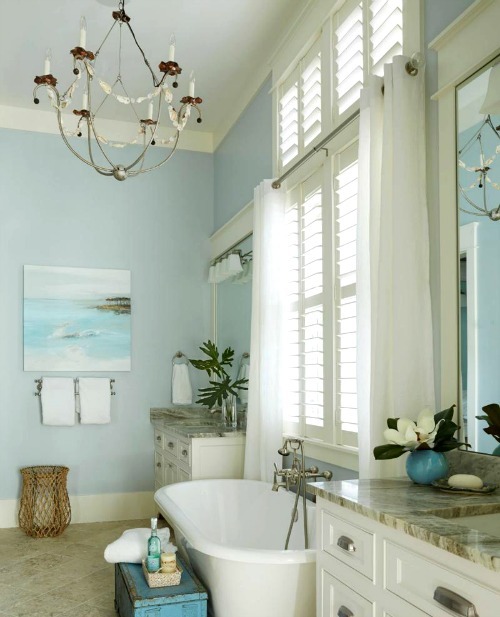 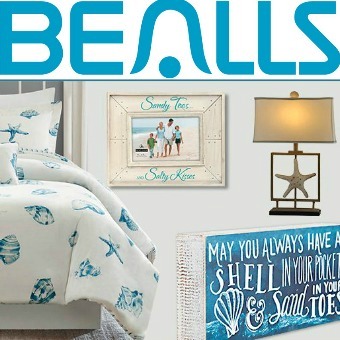 The bathroom is a tranquil beach theme oasis with ocean art and a Shell Accented Chandelier. 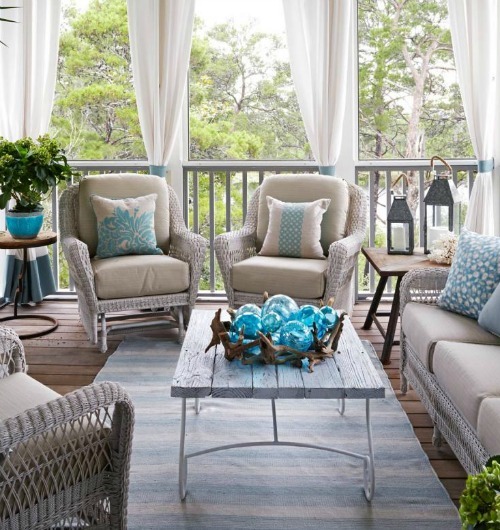 The elegant porch is featured in this Round up of Coastal Summer Porches. 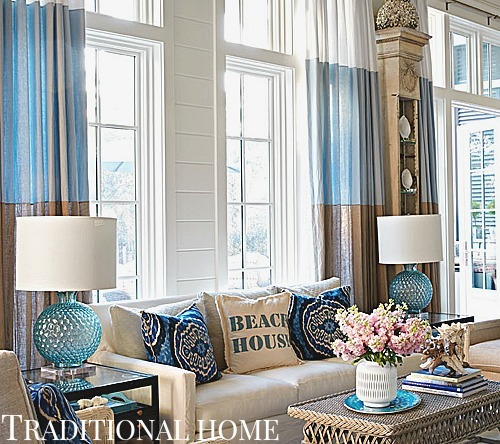 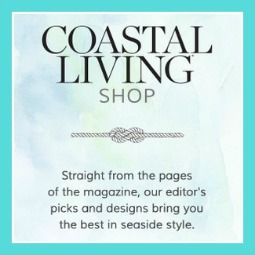 To see more of this grand coastal beach house, head over to GCI Design and Traditional Home!